Like a sweet bouquet of colorful flowers, our Striped Crew Socks In Pocket Posy are a lovely pick-me-up during the gray days of winter. 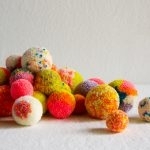 To make these beauties, we’ve reprised our classic (and free!) 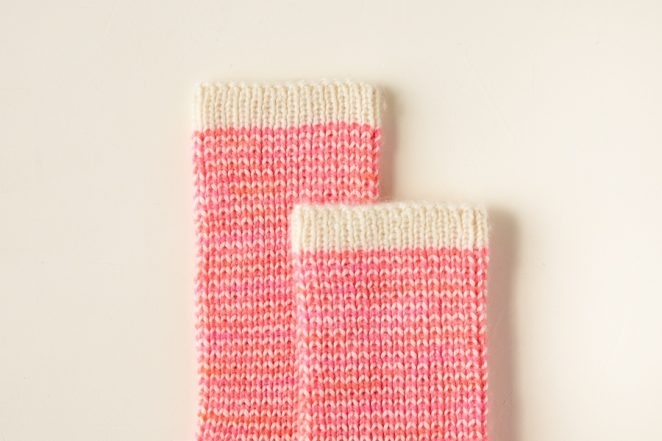 top-down sock pattern, but now in sweet Pocket Posy. The pattern is basic but thoughtful. 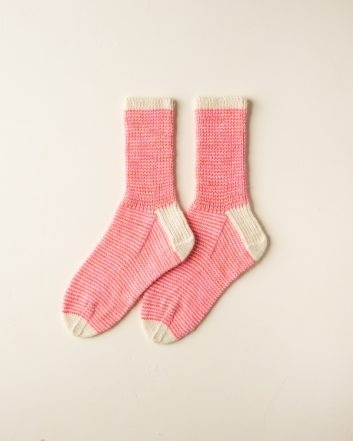 Single row stripes in a 1 x 1 rib pattern keep these socks secure around your leg… no slouching! A slip stitch pattern at the heel serves as a nice cushion where you need it, and a stockinette stitch gusset and foot slip right into your shoes. 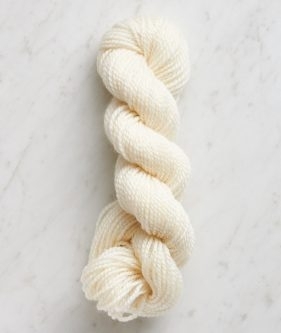 Pocket Posy’s blend of 75 percent superwash merino, 15 percent cashmere, and 10 percent nylon creates a soft, machine washable, and durable fabric. Hand-dyed colors add dimension and a dreamy, watercolor flow. Comfy and practical, check; fun and easy, yup; beautiful, definitely! Contrast Color 1 (CC1): 3 skeins of Purl Soho’s Pocket Posy, 75% superwash merino, 15% cashmere, and 10% nylon. 79 yards/ 25 grams per skein and approximately 178 yards required. We used Heirloom White. Contrast Color 2 (CC2): 2 skeins of Pocket Posy. 79 yards/ 25 grams per skein and approximately 124 yards required. We used Pink Papaya. 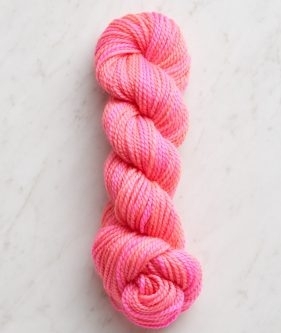 NOTE: For a one-color pair of socks, you’ll need just about exactly one skein of Purl Soho’s 100-gram Posy. Maybe make the leg height 6 inches, just to be safe! 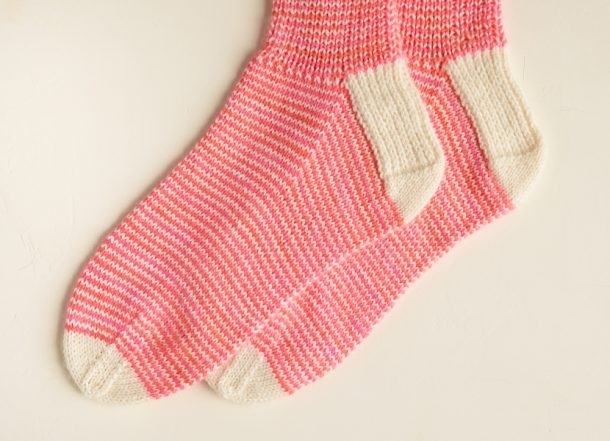 For the free pattern, please visit our original Striped Crew Socks story! Good morning. I purchased the pocket posy yarn. Enough for two pairs. How do I download the pattern. It says it’s free but when I touch the link it comes back to this page. I can’t wait to start knitting these. Thank you for your help. Love the pocket posy yarn. It’s so soft. Thank you for reaching out- I’m so happy to hear how much you love your yarn! To download the pattern you just have to go to the original post which you can find here.